As a way to boost awareness and promote international quality assurance system through the Asia Pacific Accreditation and Certification Commission (APACC), the Mongolia National Council for Education Accreditation (MNCEA) and APACC jointly conducted the Capacity Building Program on APACC Criteria and Process of Accreditation and Certification on March 29, 2019 at the Institute of Trade and Commerce, Sukhbaatar District, Ulaanbaatar, Mongolia. 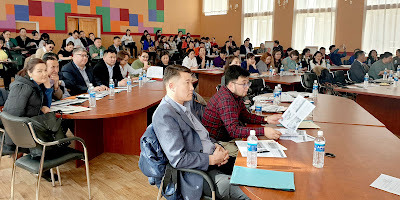 A total of 78 officials and representatives of MNCEA, Ministry of Labor and Social Protection and other government agencies, polytechnics, colleges, international organizations, industries, and non-government organizations participated in the half-day program. MNCEA is Mongolia’s quality assurance agency for higher and technical-vocational education, founded in 1998. 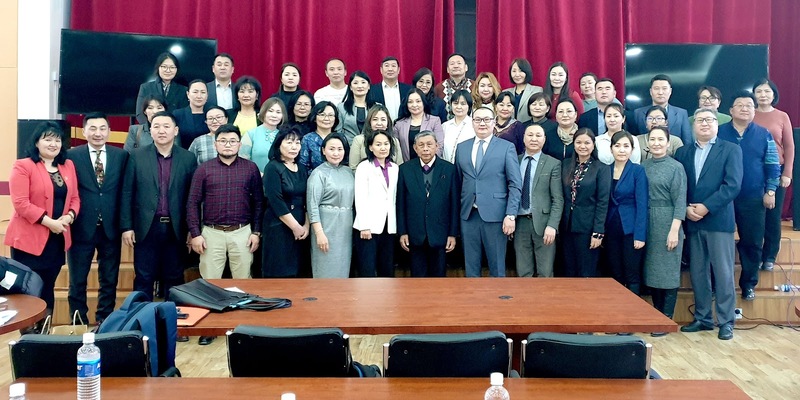 Its mission is to support the quality of academic provisions, to safeguard national standards for tertiary (higher and vocational-technical) education institutions and academic programs to strengthen the visibility of Mongolian tertiary education at the international level. (Source: MNCEA website - http://accmon.mn/). Main organizers on the part of MNCEA are Dr. Ariunbold Jaaljav, the Vice Chairman and Director of MNCEA Secretariat, and Mr. Batsuuri Khaltar, Officer, International Accreditation, Foreign Relations and Cooperation. They too were present throughout the program and participated actively. Dr. Paiboon Saiyawongs, APACC Special Officer for the Kingdom of Thailand and Ms. Adrienne Abril, APACC Officer based in Manila, Philippines, represented APACC and were the resource speakers for the program. 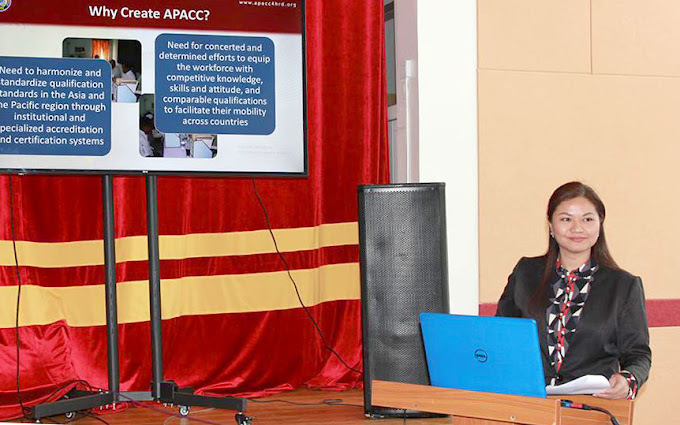 Ms. Abril discussed the overview of APACC – the history, characteristics, organizational chart, process of accreditation and certification, criteria, points, awards, indicators of quality, and status report. 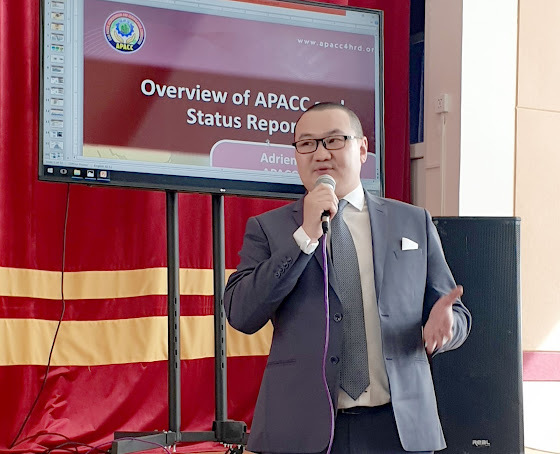 More importantly, she provided the general updates on APACC Instrument after the revision completed in early 2019 as well as the benefits being acquired by APACC accredited institutions. 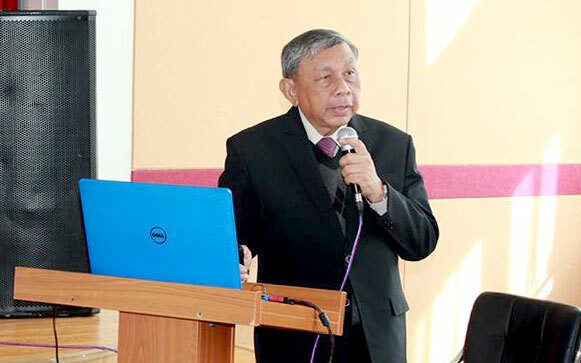 Dr. Paiboon, on the other hand, provided details on the Seven APACC Criteria namely, 1) Governance and Management, 2) Teaching and Learning, 3) Human Resources, 4) Research and Development, 5) Image and Sustainability, 6) Other Resources, and 7) Support to Students. A lively discussion ensued which showed the interest of participants to the activity. The program was concluded by a statement from Dr. Ariunbold Jaaljav for further cooperation between APACC and MNCEA.